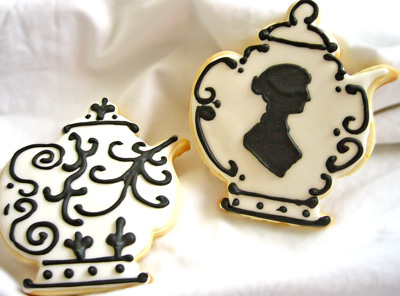 Janeite cookies. Photo by Mischiefmari. Creative Commons Attribution-Share Alike 2.0 Generic Licence. Jane Austen wrote six novels, all renowned for their wit, social commentary and the insight they give into the author's world. Which of them do you think is the best? It doesn't seem to get anywhere near as much attention as Pride and Predjudice, Emma and Sense and Sensibility but my favourite is Persuasion. I really liked the theme of trying to work out when to listen to other people and when to stick to your guns. At least, that's what I took from it. Persuasion is also my favourite and my mother's. My mum doesn't read much fiction but she loves Austen and re-reads Persuasion a lot. I love Pride and Predjudice so much I end up reading it ever couple of years - just love her characters! Another one for Persuasion. For all the reasons those before me have said, plus the beauty of the letter (you all know the one I mean). 'I am half agony, half hope...' . Stunning. Yes! It's wonderful isn't it! Mansfield Park is my favourite Jane Austen novel - so many characters twisting and turning within a convoluted plot. the 1999 film is well worth watching too. Loved the BBC TV series, with Ciaran Hinds, so 'Persuasion' gets my vote! Update: am attending High Morning Tea next week at which Susannah Fullerton, President of Aust'n JA Society, is Guest Speaker.